Thyme is a herb with culinary, medicinal and ornamental uses. Thyme is of the genus Thymus, the most commonly Thymus vulgaris. 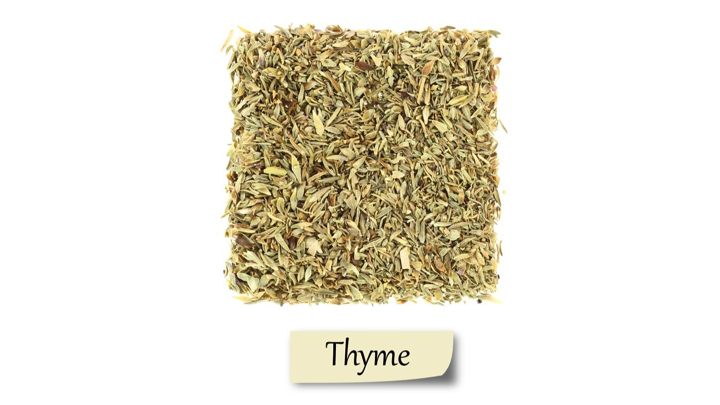 Thyme is an herb with culinary, medicinal, and ornamental uses. Thyme is of the genus Thymus, the most commonly Thymus vulgaris. The aromatic herb is sold fresh and dried where the sprigs or stems are removed from the leaves before use. Here are the 7 health benefits of thyme. 1. Thyme may be more effective than acne cream. Scientists at Leeds Metropolitan University in England found that thyme was useful when killing Propionibacterium acnes, the bacterium that causes acne, within five minutes of exposure. 2. Thyme may help control blood pressure. Researchers at the University of Belgrade, Serbia, reported that an extract obtained from wild thyme might reduce blood pressure in an animal experiment on laboratory rats. 3. Thyme may protect you from foodborne bacterial illnesses. A Polish study published in Medicinal Chemistry found that thyme oil was successful in killing bacterial strains of Staphylococcus, Enterococcus, Escherichia, and Pseudomonas. 4. Thyme may help fight various cancers. Researchers from the Universidade Nova de Lisboa in Portugal concluded that extracts of Thymus mastichina L. might have a protective effect against colon cancers. 5. Thyme may fight yeast infection. Researchers at the University of Turin in Italy reported that thyme essential oil significantly enhanced intracellular killing of C. albicans, a fungus responsible for mouth and vaginal yeast infections. 6. Thyme may help alleviate skin problems. Researchers from the All African Leprosy and Dermatology Education and Training Center reported that 66.5 percent of those treated with thyme essential oil fungal cream was healed entirely from fungal infections, compared to 28.5 percent of those using a placebo. 7. Thyme helps prolong your cooking oil. Researchers from the Institute of Agricultural and Food Biotechnology in Warsaw, Poland, concluded that thyme extract continued stability of sunflower oil and maybe a potent antioxidant for its stabilization. Park, Y. U., Koo, H. N., & Kim, G. H. (2012). Chemical composition, larvicidal action, and adult repellency of Thymus magnus against Aedes albopictus. Journal of the American Mosquito Control Association, 28(3), 192-198. Silva, N., Alves, S., Gonçalves, A., Amaral, J. S., & Poeta, P. (2013). Antimicrobial activity of essential oils from mediterranean aromatic plants against several foodborne and spoilage bacteria. Revista de Agaroquimica y Tecnologia de Alimentos, 19(6), 503-510. Sienkiewicz, M., Lysakowska, M., Ciecwierz, J., Denys, P., & Kowalczyk, E. (2011). Antibacterial activity of thyme and lavender essential oils. Medicinal Chemistry, 7(6), 674-689. Gordo, J., Maximo, P., Cabrita, E., Lourenço, A., Oliva, A., Almeida, J., ... & Cruz, H. (2012). Thymus mastichina: chemical constituents and their anti-cancer activity. Natural product communications, 7(11), 1491-1494. · Bozkurt, E., Atmaca, H., Kisim, A., Uzunoglu, S., Uslu, R., & Karaca, B. (2012). Effects of Thymus serpyllum extract on cell proliferation, apoptosis and epigenetic events in human breast cancer cells. Nutrition and cancer, 64(8), 1245-1250.